timelessmoviemagic blog | Part 1. 39 Must See Movies from 1939, the Greatest Year In Film? You are here: Home » film reviews » Part 1. 39 Must See Movies from 1939, the Greatest Year In Film? Over at TMM HQ we love a good movie, so much so that we decide to create this blog dedicating it to our favourite 39 movies from 1939, a year in which we and most critics agree was arguably the greatest year for film. We haven’t ranked them in any particular order but you’ll see some very familiar titles on the list and some which you may not have heard of. 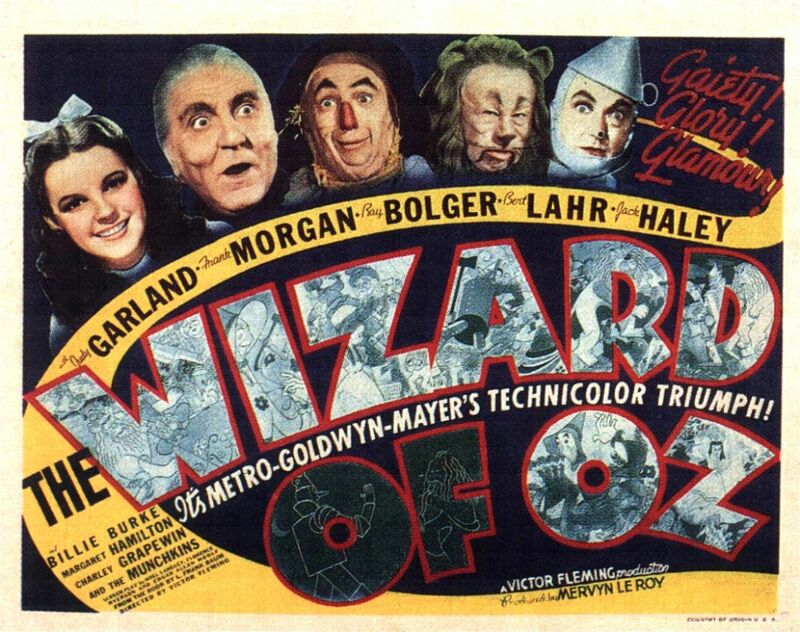 The Wizard of Oz (MGM) Starring Judy Garland, Frank Morgan, Jack Haley, Bert Lahr, Ray Bolger and Margaret Hamilton. If you haven’t seen this movie then what planet have you been living on! Widely acclaimed as one of the best movies ever made, a 17 year old Judy Garland gets caught up in a tornado and ends up in a colourful world trying to find her way home. Full of great songs and with a wonderful cast, it’s a film to be watched over and over again. Gone With the Wind (Selznick International Pictures, MGM) Starring Clark Gable, Vivien Leigh, Olivia De Havilland, Evelyn Keyes, Butterfly McQueen, Ann Rutherford and Hattie McDaniel. 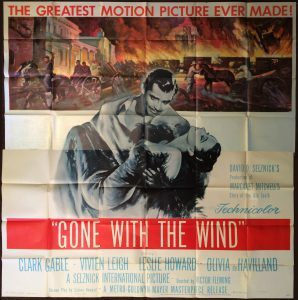 Lavish production sets, wonderful cinematography and a host of stars has helped propel Gone with the Wind into an all-time classic. Producer David O. Selznick left no expense spared and demanded the best from all who worked on this film and it certainly shows. The film itself has a run time of 3 hours 58 minutes so grab lots of snacks and enjoy this cinematic treat. 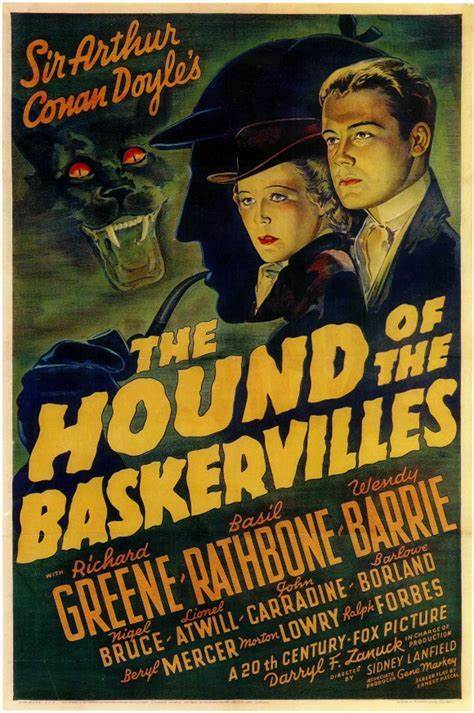 The Hound of the Baskervilles (20th Century Fox) Starring Basil Rathbone, Nigel Bruce, Richard Greene, Wendy Barrie and Lionel Atwill. Sherlock Holmes and Dr Watson investigate the legend of a supernatural hound, a beast that may be stalking a young heir on the fog-shrouded moorland that makes up his estate. 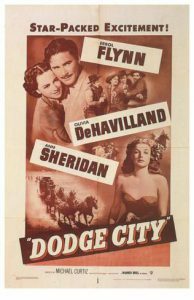 20th Century Fox were unsure that the movie was going to be a hit so gave Richard Greene, who was an established star at the time, top billing. 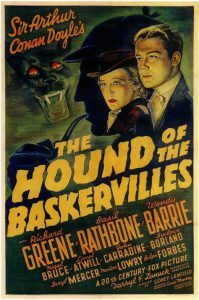 However, Rathbone’s and Bruce’s camaraderie ensured the film hit the big time and they went on to star in a few more Sherlock Holmes films. 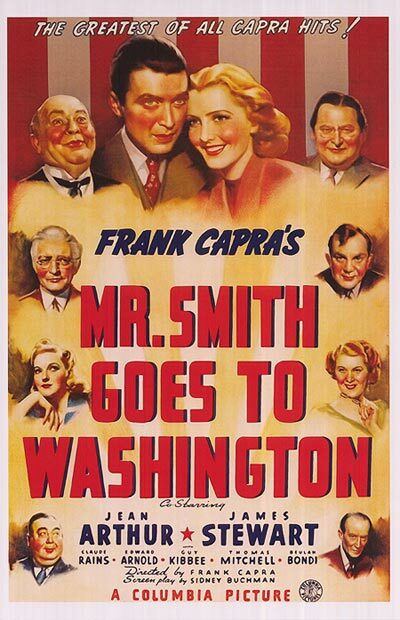 Mr Smith Goes to Washington (Columbia Studios) Starring Jean Arthur, James Stewart and Claude Rains.If you were asked to name three James Stewart movies then there would be a very good chance that you would mention this one. A naive man is appointed to fill a vacancy in the United States Senate. His plans promptly collide with political corruption, but he doesn’t back down. 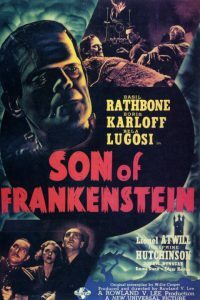 Son of Frankenstein (Universal Pictures) Starring Boris Karloff, Bela Lugosi, Basil Rathbone and Lionel Atwill. 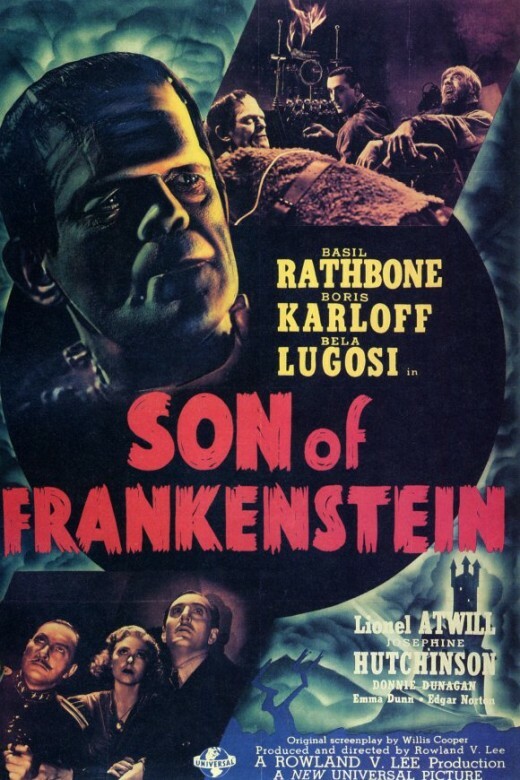 Universal created this movie on the back of a very successful double feature of Dracula (1931) and Frankenstein (1933) which they released in 1938. This prompted the company to churn out more horror movies in the next decade. 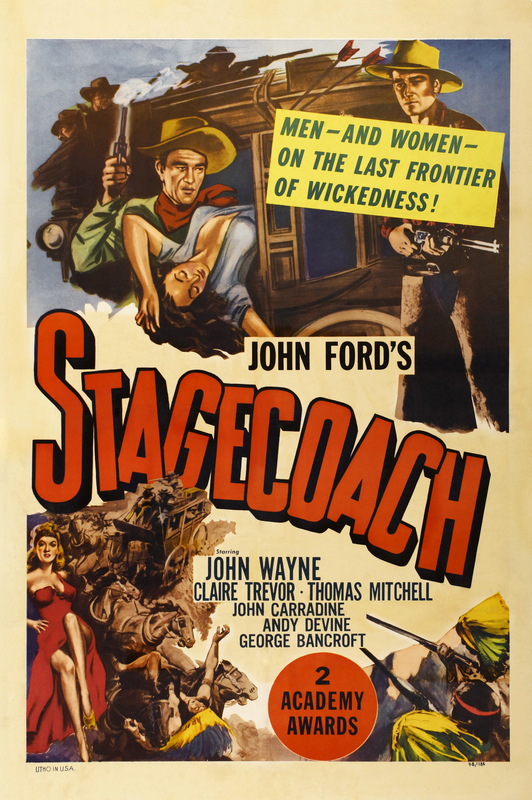 Stagecoach (United Artists) Starring John Wayne, Claire Trevor, Andy Devine, John Carradine and Thomas Mitchell. John Wayne was a B movie actor until he was given his big break by director John Ford and he sure took his opportunity. This is a wonderful western about a group of travellers who, whilst on a journey reveal a different side to their persona. Thomas Mitchell won an Oscar as the drunk Dr Boone and also starred in three different Oscar nominated movies in this year. The other two were Gone with the Wind and Mr Smith Goes to Washington. 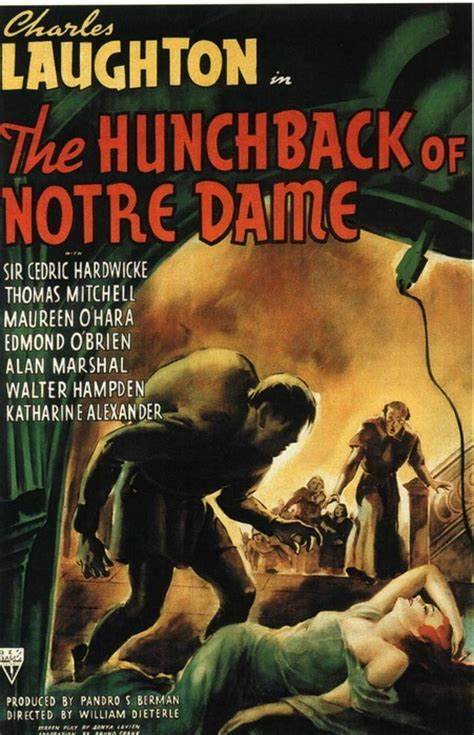 The Hunchback of Notre Dame (RKO Radio Pictures) Starring Charles Laughton, Maureen O’Hara, Cedric Hardwicke, Thomas Mitchell and Edmond O’Brien.Easily the best version of Hugo’s classic tale, director William Dieterle delivers such a visual spectacle with his clever mastery of the camera. 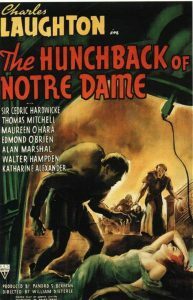 Laughton really excels as Quasimodo especially showing the sensitivity of the character. Thomas Mitchell yet again stars in another blockbuster. The Rules of the Game (DPF) Starring Marcel Dalio, Nora Gregor and Paulette Dubost. Ranked #5 in the critics poll conducted by the BBC in 2018, this film centres on the rich and their servants at a Chateau in France at the breakout of WWII. 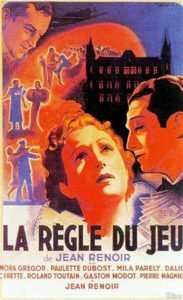 It is arguably one of the finest French films ever made, this tale of intrigue, rivalries and weakness is a must-see movie. Jamaica Inn (APBC) Starring Charles Laughton and Maureen O’Hara. Directed by Alfred Hitchcock. 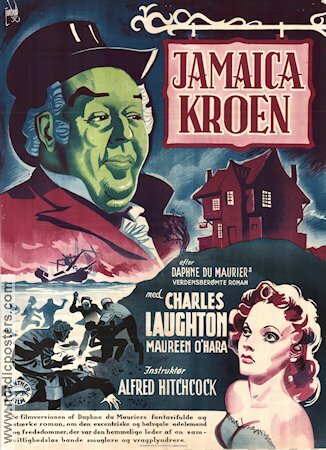 This period piece from Hitchcock was his last film directed in Britain before moving to the States. A small Cornish village led by the squire is arranging shipwrecks for profit by using false beacons. The Jamaica Inn pub is still standing today on Bodmin Moor. 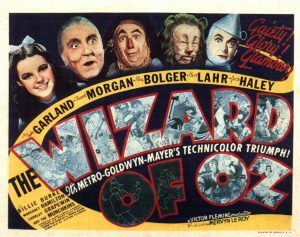 As you can see there are some fabulous films in this first part of the blog. Check back soon to see the next ten films which make our list!